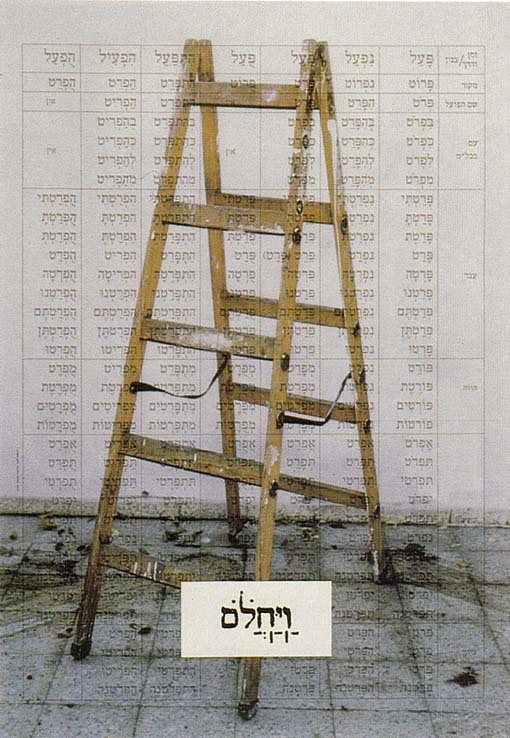 Creating Independence Day posters is an annual tradition among Israeli artists going back to 1948. This Special Collection features posters created by accomplished professional artists as well as students and faculty for an exhibit sponsored by the Shenkar College of Engineering and Design located in Tel Aviv. "This year while there is still a good deal of criticism expressed by the posters (a natural tendency of critical creative individuals) tbere are a number of changes. The changed political environment, stirrings of developments in the peace process and the approaching disnegagements from some of the Palestinian territories are reflected in the posters, with hesitant expressions of possible advances on the peace front. More profound, are expressions of the internal tensions generated be the disengagement process, with the numerous references to maps, divisions and the unraveling of the geographic fabric of the country. Most interesting is the great number of references to internal social questions, especially to the rising wave of consumerism affecting Israeli culture and society"